Loews Kansas City Hotel to Open in Spring 2020, Construction Underway. 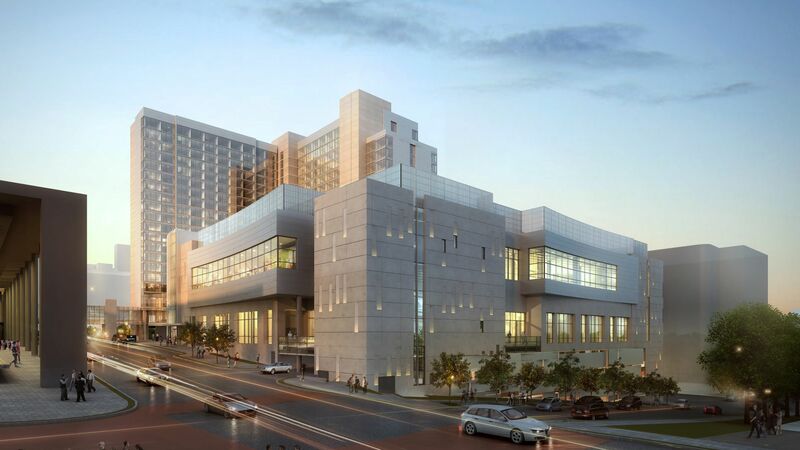 Loews Kansas City Hotel will showcase 800 guestrooms, a lobby bar, signature restaurant, three meal restaurant, indoor lap pool and 60,000 square feet of meeting and event space, which connects directly to the Kansas City Convention Center with a new connector bridge. The hotel is also in walking distance to key attractions and other destination landmarks like the Kansas City Power & Light District, Sprint Center, KC Streetcar and the Kauffman Center for the Performing Arts.